Free event. Seating is limited. Contains mature content. We join IU Cinema, Cicada Cinema, and Brown County Playhouse in presenting a film screening of They Shall Not Grow Old. 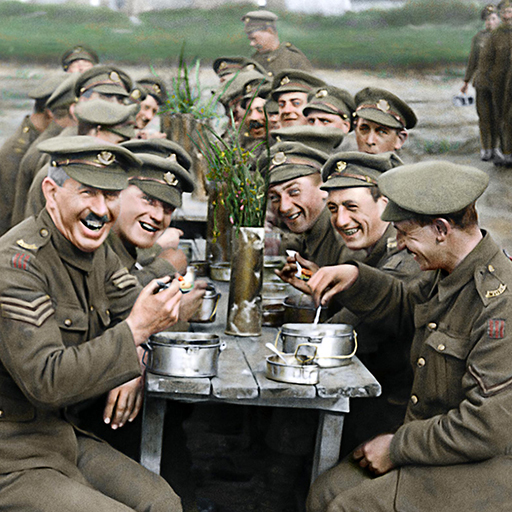 This unique film brings into high definition the human face of the First World War using state of the art technology to restore original archival footage which is more than a 100-years old. Jackson brings to life the people who can best tell this story: the men who were there. Driven by a personal interest in the First World War, Jackson set out to bring to life the day-to-day experience of its soldiers. Using the voices of the men involved, the film explores the reality of war on the front line; their attitudes to the conflict; how they ate, slept, and formed friendships, as well what their lives were like away from the trenches during their periods of downtime.